Employment – Jason H. Moore, Ph.D. Following graduate school I started as a tenure-track Assistant Professor at Vanderbilt University School of Medicine in the Department of Molecular Physiology and Biophysics. I was the first new faculty hire as part of the new Center for Human Genetics Research that is now called the Vanderbilt Genetics Institute. While at Vanderbilt I founded and directed the Advanced Computing Center for Research and Education (ACCRE) with Drs. Paul Sheldon and Ron Schrimpf. In 2004 I left Vanderbilt to join the faculty at the Geisel School of Medicine of Dartmouth College as the Frank Lane Research Scholar in Computational Genetics and Associate Professor of Genetics. I was promoted to Full Professor in 2008 and in 2010 established the Institute for Quantitative Biomedical Sciences as part of an NIH Center of Biomedical Research Excellence (COBRE) grant. From 2010 until my departure in 2015 I held the Third Century endowed chair at Dartmouth. While at Dartmouth I ran the Bioinformatics Core facility and built Dartmouth’s first high-performance computing system (DISCOVERY). 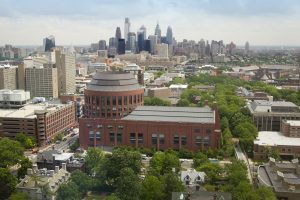 In 2015 I left Dartmouth to serve as founding Director of the Institute for Biomedical Informatics at the Perelman School of Medicine at the University of Pennsylvania with an appointment as the Edward Rose Professor of Informatics and Chief of the Division of Informatics in the Department of Biostatistics, Epidemiology, and Informatics with a joint appointment in the Department of Genetics. I also serve as Senior Associate Dean for Informatics.